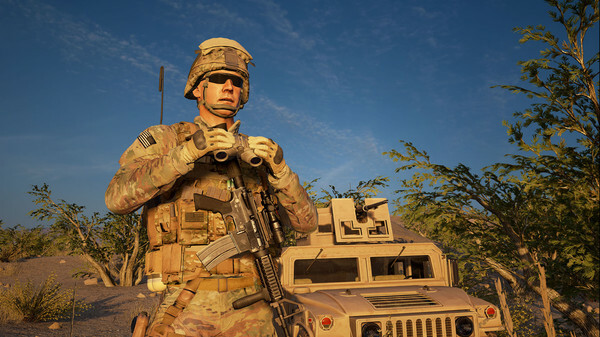 The latest version of Squad, the 50 vs. 50 military shooter with a dedication to realism, has arrived, bringing with it a new faction, a brand new map, new weapons, and a ton of adjustments and improvements. Squad pits teams of 50 players against each other, but teamwork is vital. Here’s our list of the best multiplayer games on PC. It’s a beefy update, and you can read the full patch notes here. But let’s run through a couple of the biggest additions with Alpha 11. First, there’s the new map, Kamdesh Highlands. This map is set in the mountainous eastern area of Afghanistan, and features coniferous woodland areas dotted with isolated mountain homes and compounds. Alpha 11 also expands the Kohat Toi map, opening up several new zones. You’ll now be able to play as or against the British Armed Forces, whose loadout is based around the new L85A2 5.56mm bullpup rifle. British forces will take advantage of Squad’s expanding vehicle combat system, relying on the new logistics transport truck and FV510 infantry fighting vehicle. US Army forces are also getting a new IFV, the M2A3 Bradley variant. Offworld Industries say the M2A3 is currently the most heavily armed vehicle in the game, sporting a 25mm chaingun as ist main cannon, with a 7.62mm coaxial-mounted machine gun and a TOW missile launcher in the turret as well. Armored vehicles, both APCs and IFVs, will now require new roles, the Crewman, to operate. Crewmen will carry basic kits meant only to provide self-defense, but it’ll be crucial to have them around if you plan on bringing armor to the fight. Alpha 11 is a significant update with nine brand new weapons and two new weapon variants. Again, the full changelog is available via the official Squad site. The game is available in Early Access on Steam. Thanks to PC Gamer for spotting this.